Now that the digital rush has passed by, many folks are coming back to see the need for balance and savvy. In May, The Question Mark will commence publication and will be sent to all current subscribers to FNO for the first two issues. From then on, a separate subscription will be required (at no cost). FNO will continue to cover educational technology issues but will publish just 5 issues each year. 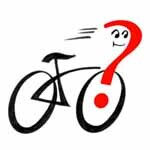 The Question Mark will focus on questions, questioning, sound intelligence, strategic reading and quality teaching. The magazine is dedicated to the belief that pedagogy does matter. The Question Mark will alternate each month with FNO. There will be 5 issues each year.